With a 400 metre golden beachfront right at its doorstep, Citrus Waskaduwa is an ideal choice amongst beach hotels in Kalutara for a holiday amidst the serenity of the Indian Ocean. 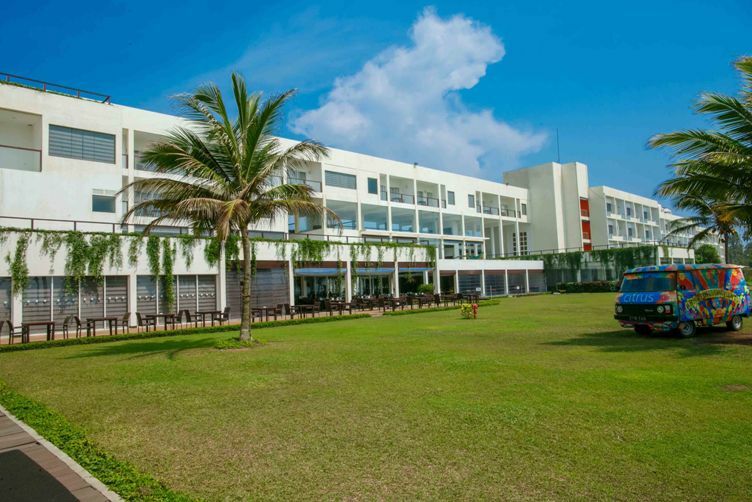 Situated about an hour’s drive from Colombo, the hotel has 150 rooms and suites including a lavish Presidential Suite all of which come with sea vistas and free Wi-Fi. Savour a range of flavours both local and international, at the all day dining restaurant while inventive cocktails and refreshing drinks can be enjoyed at the bars and lounge. Featuring versatile venues for meetings and weddings, Citrus Waskaduwa has its own signature spa where Balinese therapists offer diverse Western and Eastern therapies for a rejuvenating wellness experience.